I’ve been telling myself for a while that I needed to update the blog, but the emotional rollercoaster has been bumpy over the last month, not to mention I’ve been battling some kind of head cold/sinus infection for the last two weeks. But after several requests, I’ve decided it’s time to put something down. October was probably the most difficult month for me so far in this journey. 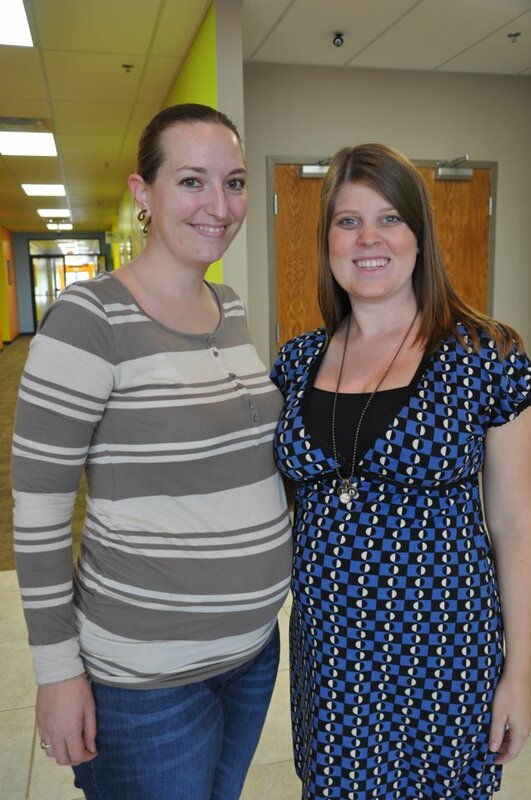 We had two doctor appointments, one October 3 and one October 31. While they are still four weeks apart, it just seemed like a lot to have to go twice in one month. After the October 3 appointment, it took several weeks for me to “heal.” We haven’t had any new changes in the baby’s development and no new bad news, but each appointment is a reminder that this is really happening and the closer we get to our due date, the harder and scarier this journey gets. So in the week or two before the October 31 appointment, I asked for prayers for peace and strength for Tim and I as we prepared ourselves to go back in and hear, most likely, the same information. My next doctor appointment is December 3. Even though it is still four weeks between visits, I feel like I can breathe a little easier not having an appointment this month. It feels longer between visits. I just get to enjoy November with my baby and the anxiety of “what will they say next” can wait until next month. However…we have a consultation with the NICU (Neonatal Intensive Care Unit) this Tuesday, November 13. Please pray for us, for peace, for strength, to feel God’s arms around us as we have a discussion about what to expect when the baby is born. My understanding is that at this meeting we will talk about our wishes, our options and what to expect come February. Right now, no one knows what is going to happen come labor time. So we’ll discuss what to expect if she’s stillborn and different options depending on how long she lives. I fully expect this to be a difficult meeting, but I also feel it is extremely important and beneficial for us. We need to know our options in the event that our baby girl does not receive full healing from God. We need to let the doctors know what we want as far as treatment for her and myself. I pray for God’s guidance in this, for understanding of what the doctors tell us and for peace over the situation. Like I said, the last month has been difficult. We continue to pray for complete healing for our baby, but the reality of where her health is at this moment, today, is a heavy weight to bear. “Come to me, all you who are weary and burdened, and I will give you rest.” – Matthew 11:28 Plus, the hormones…holy cow. Today, we were driving home from church (which is always a tearful and emotional time for me) and Timmy and I were talking about some future possibilities. He said he had told someone “I have a wife and baby on the way.” This is a totally normal statement for a man in his place to make, but it brought on the tears. “A baby on the way.” What if we don’t have a baby “on the way?” What if she is just going to make a brief appearance and then be gone? What if we don’t get to bring her home? She has already forever changed our lives, but what if we don’t get to experience all the firsts with her? These thoughts scare me and break my heart. I know God is taking care of us and she is in His good hands, but my human desires to be with this child are overwhelming of course. Today I am 25 weeks, 5 days pregnant. We have 14 weeks, 2 days until my due date of February 19, 2013. 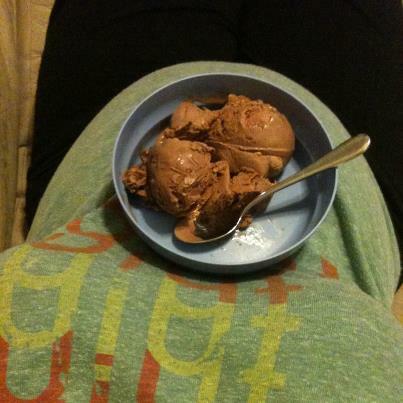 In the midst of this emotional rollercoaster, I am trying to enjoy every bit of this pregnancy. I’m trying to take things one day at a time. I’m thanking Him for the prayers He has already answered for us. I prayed for this baby and He allowed me to conceive her. I prayed He would use us for His glory and people are seeing His glory through us. I prayed to have the right attitude, a spirit of thanksgiving and peace rather than bitterness and pain. He is helping me have that attitude. He is giving me the strength to feel any fear and anger and doubt in a way that is still pleasing to Him. He is giving me peace as the dominant emotion rather than fear. He has surrounded us with an amazing support system. He is giving us joy in a time of sorrow. Me at 22-1/2 weeks and Haley at almost 25 weeks. 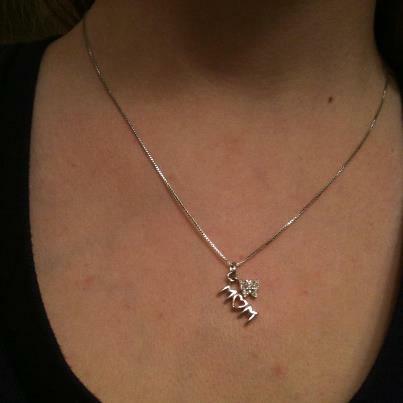 My “Mom” necklace, a gift from the ladies in our Life Group (Bible study group). Ice cream! And my belly is big enough now to be a snack tray. 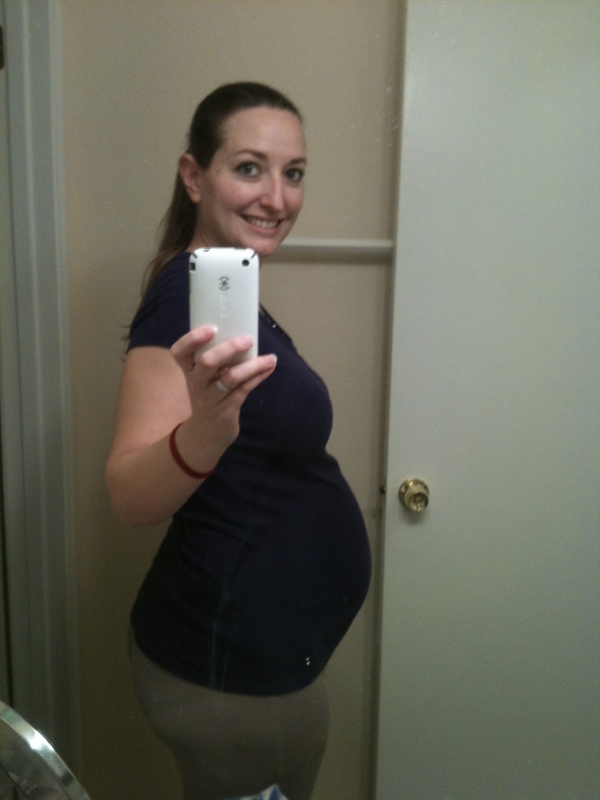 My belly at 25 weeks (just over 6 months). My Timmy’s hands on my belly. Timmy talking to the baby. Timmy getting to feel her kick (which doesn’t happen often cause she’s a little stinker). Seeing her kick things on my belly, like the blankets or my phone. Feeling her kick in different places (she used to always be low and now I can feel her up higher). Feeling her in her “comfy spot” (her booty pushed up against my belly to the left of my belly button), which is definitely NOT Mama’s comfy spot (it hurts). Worship time at church, hoping she hears me singing and her daddy playing drums for Jesus. My friends putting their hands on my belly when they pray for us. My friend Cindy sticking her face in my belly and yelling to her in Spanish. Hearing how she is already being used for God’s glory. Sorrow is one of the things that are lent, not given. a thing that is given is not taken away. all the tears from off all faces. We are pulling for Team Leagan everyday. Our prayers are with you. You two are an inspiration to us all. i love the blog.. and i’m so glad you wrote again, you make me tear up, if not cry, everytime. hope your appointment goes as well as it can and i know if anyone can, you can make today a great day. thinking of you. Oh dear Jessica! Your words and your faith are truly inspiring! Thank you for sharing this journey with us. I think of you and pray for you often.